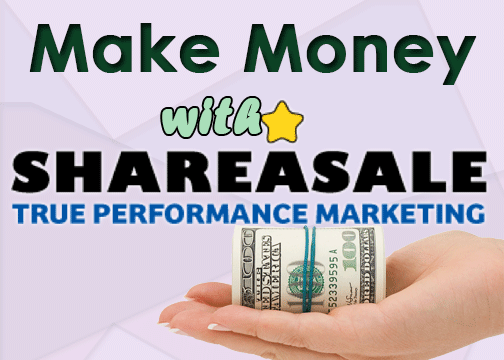 ShareASale.com is one of the most reputable affiliate networks out there, and in this post we are covering the basics of how to make money with ShareASale Affiliate Marketing. It MIGHT not be as popular as Amazon or Clickbank but those who use it on their affiliate website can attest to the money making potential it offers. Some of the top products on the market are on ShareASale (i.e. HootSuite) and across various niches you will find high paying affiliate products to promote. ShareASale provides an easy and straight forward signup process. They require that you own a website from which you will do affiliate marketing for your products. The most notable requirement is that you need to enter a valid email address which is preferably from your affiliate website that you entered into your application. 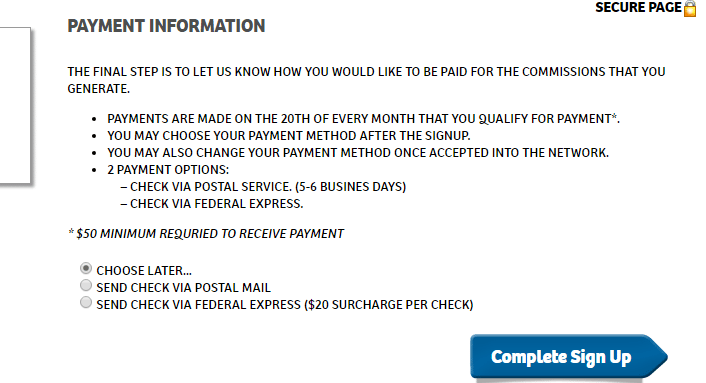 For example if your affiliate website is “mysite.com” then you should sign up with “SOMETHING@mysite.com”. You should not use a free email account like Gmail or Hotmail as this will require further verification that you own your affiliate website. 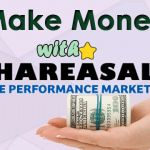 Make Money With ShareASale Affiliate Marketing: Payments. The best thing about ShareASale is that your account has only $50 withdrawal threshold! Meaning that once you earn $50 or above you can start withdrawing your money. You can reach that number easily especially if you are a beginner affiliate. Once you finish your application, you need to check your email to finish any required verifications and prepare your application for review by ShareASale. There are over 3,900 products that are spread across very interesting niches, so you will have products of options to choose from. Some products require separate approval from the vendor in order to become an affiliate for them. If you have a quality affiliate website and follow ethical promotion tactics then getting such approval will be fast and without problems. ShareASale list coupon codes for the products that offer them. This is a great selling technique for affiliates because many potential buyers are always looking for deals on the products they are interested in. This increase sales conversion rates to high levels. Accessing those coupons is easy once you login to your ShareASale account. Unlike other affiliate networks where you have to either contact the product owner himself or visit his affiliate page to get banner ads and coupon codes, ShareASale gives you access to all these materials from your dashboard. The most obvious criteria when choosing your affiliate product is how relevant it is to your affiliate website or blog. Your affiliate product should not only be relevant to your affiliate website but also should be relevant to your micro niche. For example, if you have a fat loss blog then try to avoid promoting generic weight loss products and instead find fat loss products with all its variations (i.e. fat loss around the waist…etc). This will help increase your affiliate sales because your visitors will see your affiliate product as super relevant. More importantly they will know it will solve their specific problem and trust your recommendation since your affiliate blog specialize in this micro niche. This play a major role in your conversion rates; it positively or negatively affects the reputation and trust level of your affiliate website. But, also how well they treat their customers with their technical and customer support. Not only you can know the reputation of the product from this search, but also you can use the positive testimonials on your affiliate website to boost your sales. The product’s price is usually the first thing affiliate marketers look for when deciding to promote any product. But this should be the last judging factor to use. High product price indeed can guarantee you high affiliate commission but it doesn’t guarantee you high volume affiliate sales. That’s why you should combine the product’s price with the other factors I outlined above. Being able to direct a fraction of that traffic is not as challenging as you think. You first need to setup an account on these social media website and link to them from your affiliate blog. Try to be active on social media at least twice a week by posting tweets and content. This will help increase your followers’ amount and encourage sharing of your blog’s content. Still, over time, your name and brand will become well known and people will start coming to your affiliate website with a certain trust level that was generated with your brand awareness. Search Engine Optimization is a good source of quality traffic and if done right, it will be a source of potential buyers’ traffic. A good technique that affiliate marketers use is to create an honest product review on their blog, and then try to rank the review page for the product’s brand. But this technique is more successful for established products, or soon to be popular products. In order to make sure that your affiliate product falls in that category, go to Google’s keyword tool and search for “ProductName review”. If you see enough searches (300 or above) then you can start doing SEO and targeting this keyword. Try to make your product review page as informative and honest as possible. Once the traffic starts to come in, your review page will determine how well you are going to sell. Affiliate marketing with ShareASale is like any other affiliate network; they all require the same amount of work and the same traffic generation and selling techniques. Learn about affiliate marketing by getting a training or reading success stories from other affiliate marketers, this will help you evolve as a marketer in general and as affiliate marketer in particular. 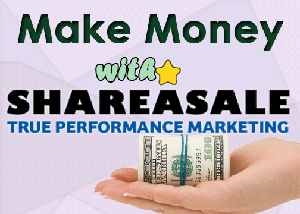 Make Money With ShareASale Affiliate Marketing Network. One of the most reputable affiliate marketing networks.